Pandora Car Alarms in Russia have just released there all new Pandora DX-91BT. This system looks exactly the same as the Pandora Light Pro but with the all new rechargable remote control ( which to be honest was needed due to the 1 x AAA battery lasting around 4 months. This new remote looks outstanding and I would say the sleekest aftermarket remote control in the world. The Screen is much larger than the old remote control meaning it now has a picture of a vehicle on the screen allowing you to see exacly what zone has been attacked at a glance. The new remote control just looks better in every way. And better yet the new DX91BT has improved bluetooth conectivity meaning you can get a slightly longer range bluetooth connection. The new DX91 ECU has such little power drain the alarm can be left for up to 100 days in an armed state and the vehicle will still be able to start. That is simply ground breaking technolgy. In the near future, the newest car security system Pandora DX-91BT with an updated radio transmission and a new key fob D-020 with built-in battery and twice enlarged OLED-display in comparison with the key fob D-010 comes to the market. saving on additional equipment, a significant discount to CASCO. The new key fob has become thinner. In the 010th keychain we used a small AAA battery as the battery, and a new lithium battery in the new one. And this is very good news! We use an intelligent charge controller specifically designed for lithium batteries, which has a very complex algorithm of operation – just the same as what is needed for these batteries. 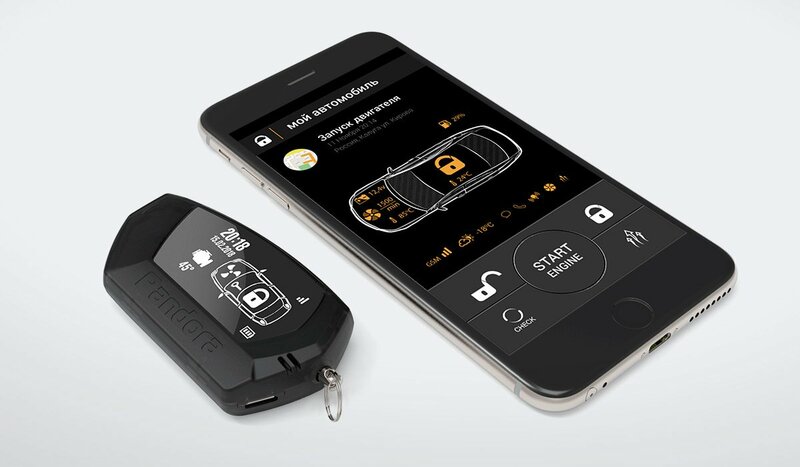 The key fob D-020 uses the micro-USB port to charge and update the firmware of the keyfob, and the capacity of the lithium battery is 220 milliampere-hour. The system also received a new main unit. Its layout was the development of the Pandora DX-90 and DX-50 systems, which distinguish the maximum degree of integration and, first of all, the integrated long-distance radio transmission at 868 MHz, the digital interfaces 2CAN, LIN and special ports of keyless engine start and bypass of immobilizers IMMO-KAY. Of course, in the new base block improvements have been made on almost all components, but we have focused on two areas. The first thing is energy efficiency. In the Pandora DX-91BT, the power supply system has been almost completely changed and modernized, new algorithms have been added, allowing to regulate the CPU clock speed, which can be reduced several times depending on conditions, load, and so on. The result was simply stunning – the average system consumption in the protection mode is less than seven milliamperes! And this is with the working radio network, all digital buses, canals, ling, IMOKEY, with working shock sensors, motion, tilt, and even with a working Bluetooth interface. This means that even with the worst scenario, the car’s battery charge will last for 100 days of parking, after which the engine will run reliably, while with the usual signaling it is a maximum of 30-40 days. The second direction of active development is the built-in Bluetooth-interface. In our systems it is really the best, the most developed and functional, with as many accessories as possible. In the Pandora DX-91BT, it’s just the top one for today. This is work with radio tags, radio relay, subwoofer modules, GPS / GLONASS receivers, wireless door sensors, key fobs and of course with smartphones and mobile applications installed on them Pandora BT.